Seán MacDiarmada (also known as Seán MacDermott / John MacDermott) was a leading Irish Republican who was involved with promoting the Irish language, the Gaelic revival, and Irish nationalism. As one of the signatories of the Irish Proclamation he was widely respected and a talented political organiser who believed that the only means of achieving an Irish Republic was by a revolution. Seán MacDiarmada was born in 1883 into a Fenian family on a small farm in County Leitrim. He was educated at Corradoona national school and studied bookkeeping and Irish at Tullinamoyle, Co. Cavan. By the age of 17 he migrated to Glasgow, Scotland, where he worked as a tram conductor until he moved back over to Belfast where he continued to work as a tram conductor and then later a barman. MacDiarmada joined the Gaelic League, a society that was formed in 1893 to revive the Irish culture. By 1906 he became a trusted member of the Irish Republican Brotherhood (IRB) after being sworn in by Denis McCullough and would later be appointed to its Supreme Council. He set to work helping to organise Sinn Féin and other republican clubs that were being set-up by Denis McCullough and Bulmer Hobson to help spread Irish nationalism and republican beliefs. With a talent for political organising he moved to Dublin in 1907 and became the national organiser for Sinn Féin. It was during this time he became a trusted friend with a well respected figure in the republican movement, Tom Clarke, who helped the men with the revival of the IRB and would be the first signatory to the Irish Proclamation. In 1910 Bulmer Hobson started the publication of the republican newspaper Irish Freedom in which Seán MacDiarmada would become the commercial manager. A year later MacDiarmada fell ill with polio leaving him disabled on his left side and although he was restricted to using a walking cane he continued with his organisation of the republican movement. In response to the militarism of the Ulster Protestants MacDiarmada assisted with the founding of the Irish Volunteers in 1913 by recruiting members from other organisations such as the Gaelic Athletic Association and the Gaelic League. After the outbreak of the First World War in 1914 MacDiarmada, along with Tom Clarke, saw the outbreak of the World War as an opportunity for a rebellion against British forces in Ireland. On 5 September 1914 the Supreme Council of the IRB decided to plan a rising before the war would end and would accept whatever help Germany would offer. However, plans for a rising were put on hold after MacDiarmada was arrested and jailed for 4 months under the Defence of the Realm Act for his part in campaigning against Irish men joining the British army. MacDiarmada nominated himself for the position which was agreed by other members of the Supreme Council. By May 1915 MacDiarmada and Clarke formed a Military Council which also included Padraig Pearse, Joseph Plunkettt, Éamonn Ceannt, and Thomas MacDonagh, with James Connolly joining them in January of 1916. The role of the council was to establish the planning and military action in the form of an uprising. 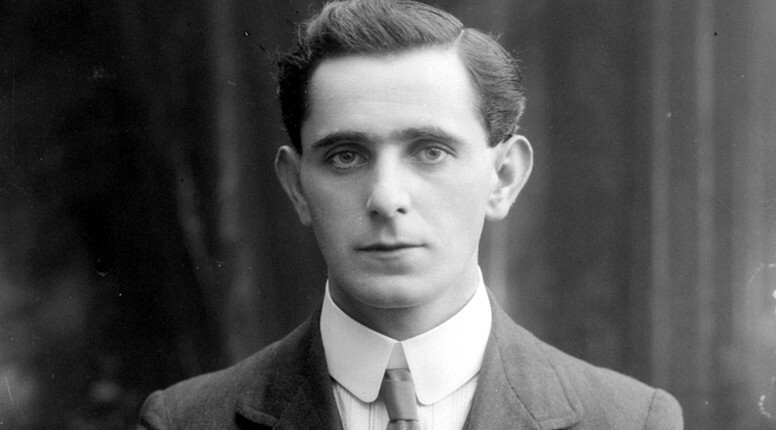 Both Seán MacDiarmada and Tom Clarke were well known for their secretive planning of the rebellion and kept the idea from most members of the IRB, including Eoin MacNeil who was the Chief-of-Staff of the Irish Volunteers and Éamon de Valera who was a member of the IRB and would later become President of Ireland. Both MacDiarmada and Clarke believed previous failed Irish Rebellions were likely caused by spies and informants who infiltrated the ranks of republicans so they were to ensure their own rebellion would not fail for the same reasons. The original plan was for the Rising to occur on Easter Sunday of 1916 but a dispute with MacNeil would have the Rising take place on Easter Monday. Although MacDiarmada had no military rank and was restricted to using a walking cane he was present at their head quarters in the GPO as a member of the Provisional Government. After facing over 12000 British troops and a high number of civilian casualties MacDiarmada and Pearse decided to avoid further deaths of civilians they must surrender. Both men convinced the Volunteers that the only the leaders of the Rising would be the ones executed. Taking part in an armed rebellion and in the waging of war against His Majesty the King, such act being of such a nature as to be calculated to be prejudicial to the Defence of the Realm and being done with the intention and for the purpose of assisting the enemy. He pleaded not guilty on both charges but was found guilty on the first charge and not guilty on the second. He was sentenced to death by shooting. I feel happiness the like of which I have never experienced. I die that the Irish nation might live! At 3.45am on 12 May 1916, Sean MacDiarmada was executed by firing squad in Kilmainham Prison at the age of 33. He and James Connolly were the last leaders of the 1916 rising to be executed. Today Sean MacDiarmada is buried in a mass grave with other leaders of the 1916 Rising in the old yard of Arbour Hill prison which is now a memorial.